Who doesn’t like cats? And who doesn’t like pens? Depraved individuals, that’s who! And you’re not depraved in the least, right? Well, I have a special opportunity for all non-depraved, cat-loving, pen-using, book-reading individuals. Isn’t that lucky? It’s from the Best Friends Animal Society in Kanab, Utah. I visited it over the summer and was blown away by how amazing, beautiful, and all over excellent the whole facility is. Its motto is “save them all.” Thousands of animals are euthanized in shelters across the country every day. This needs to stop, and Best Friends is taking action to do just that, through education campaigns as well as running the largest no-kill animal sanctuary in the country. The sanctuary has dozens of buildings for animals, gardens, corrals, fields, and cabins for rent, all framed by beautiful red rock hills. Truly a paradise for animals and animal lovers as well. Anyhow. I was very impressed and I’m happy to support the organization (which has many affiliated organizations throughout the country) however I can. Enter the cat pen. Blah blah. Let’s get to the important info – how do you WIN it? Sign up for my reader’s newsletter here: http://eepurl.com/DoEz5. That will give you a chance to win it. Yup, that’s it. I send out brief updates about my books, works in progress, sales, promotions, graphics, and so forth every other week. You’ll always find links to free and low-cost promos that I participate in as well. It’s especially great for fantasy lovers, but I also include info about my historical romance and humor occasionally as well. Of course you can unsubscribe any time you like. I’m choosing a winner who will be announced in my February 1st email newsletter. Sign up before then. And remember how I mentioned promos I always announced in my reader’s newsletter? Well, here’s one of them that is active just until the end of the day on the 20th. Click on the graphic for a boatload of free and low-cost reads. Woo hoo! Like The Cat’s Guide to Human Behavior Facebook page for lots more funny cat pix! 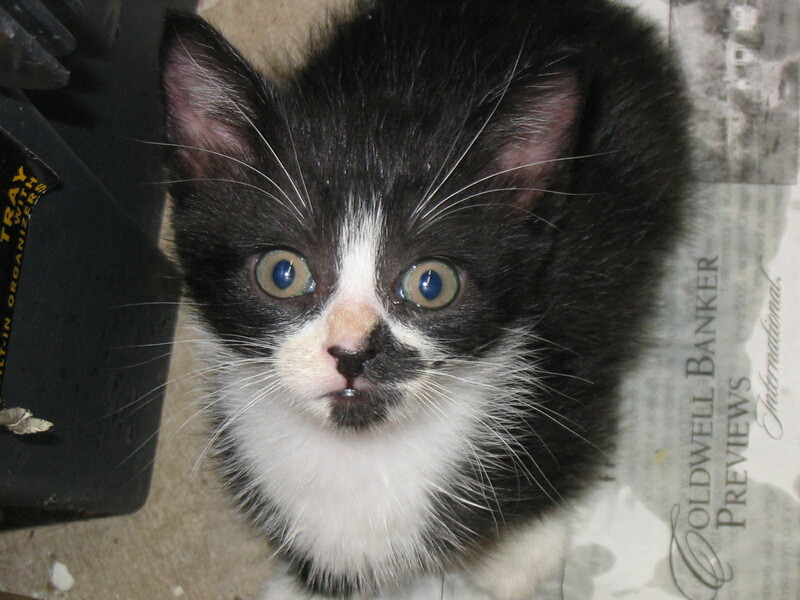 I’ve had Charley the Kitty since she was about four weeks old (her lopsided mustache reminded me of Charlie Chaplin, and so inspired her name). For school community service credit, my daughter decided to foster a litter of motherless kittens. What could be better and more fun than raising a bunch of cute kittens? Well, turns out that’s a lot harder than it sounds. I really gained an appreciation for a mother cat, after having to bottle feed five kitties several times a day. The kittens were quite accomplished at crying for food as well as getting milk all over themselves as they frantically sucked down the contents of their bottles. The mess they inevitable created caused us to bathe them every day. 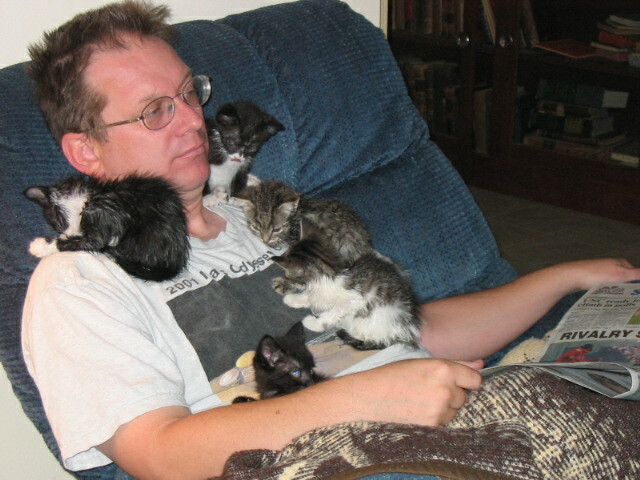 Drying off after the baths, they would climb up on my husband, since he was warm and cuddly, apparently. When the kittens were old enough to adopt out, I chose Charley to keep for myself. We just had a special bond from the beginning. She wasn’t the cutest or sweetest of the cats, I have to say, because she’s a little grumpy and rather demanding. However we just clicked. Perhaps because I’m a little grumpy and demanding as well? Who can say? Certainly not my husband! Anyhow, Charley has always communicated when she feels strongly about something. This could result in a hiss or a growl or a loud, demanding meow when she’s hungry or cold. When I started to work from home as a freelance writer one of the perks was more time spent with my animals, including Charley. However, Charley had a habit of meowing in the loud and fierce way around noon every day. I did the obvious – made sure her litter box was clean and her food dish was full — but that didn’t satisfy her. My plaintive question of “What do you want?” went unanswered. Eventually, though, I figured out what she wanted me to do – namely, snuggle with her in bed at the beginning of her afternoon nap. So now, almost every day, she meows at lunchtime and I go and lay down with her as one with would with a child, and put her to sleep. I’m quite proud of myself for figuring out her message after only a few years of trying. Who says old humans never learn new tricks? 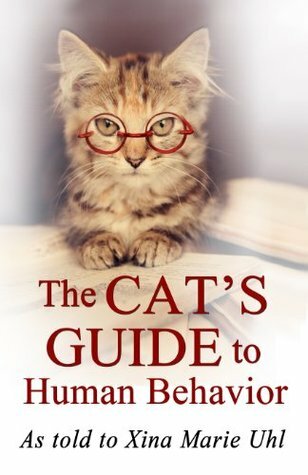 This was one of the experiences, coupled with my rather fertile imagination, that led me to write The Cat’s Guide to Human Behavior. 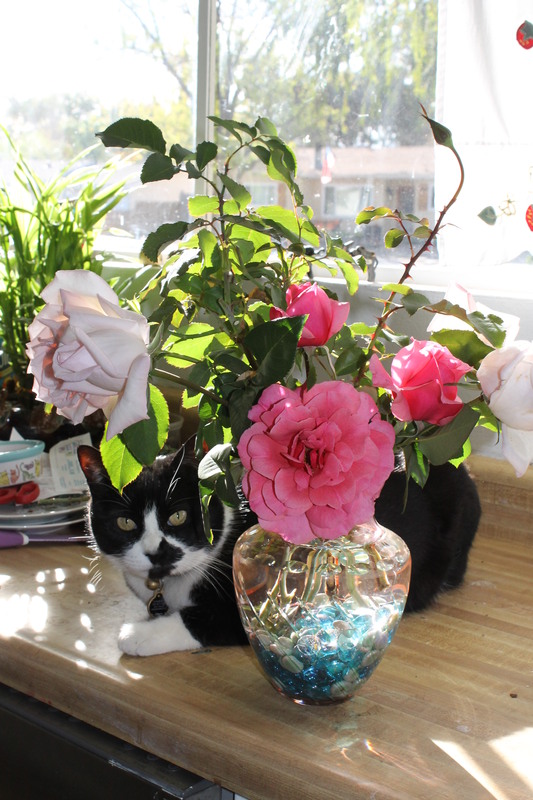 This humorous look at living with humans from the cat’s point of view has been recently released and is looking for a home on your ebook reader or bookshelf. You know, just in case you want to do a little fostering of your own. If you enjoyed this little story, check out the Nature’s Recipe blog hop for other participants’ stories. … are messing with my WIPpet update! Sorry, guys – next week, I promise! This Goodreads giveaway runs through 2/21. Feel free to reblog and share – and don’t forget to enter!